The new IDTechEx Research report, Electric Motors for Electric Vehicles: Land, Water, Air 2019-2029 measures how induction (asynchronous) motors are rapidly losing market share. They used to power 50% of electric buses and all forklifts and the Tesla S even gave them credibility beyond the large-reliable-affordable category. Their deficit in size, efficiency and performance against permanent magnet motors was narrowing. Five years ago all major suppliers looked at them as an alternative when China rationed and severely raised the price of rare earths, expensive metals for magnets. However, those price hikes are now largely forgotten and a steady long term rise in price is being tolerated. It is a bit like the frog in water slowly brought to the boil. Raghu Das, CEO of analysts IDTechEx advises, "The more savvy suppliers such as Nidec, Danfoss and Federal Mogul have bought their way into the switched reluctance motor business and Tesla developed one for the Tesla 3. Escaping price hikes was only one of the reasons". However, the new report reveals several claimed breakthroughs in design of induction traction motors. Although its 30+ forecasts do not show a comeback yet, the possibility is recognised. The more immediate phenomena are increased share for PM motors now including axial flux and external rotor versions selling well and, yes, great success ahead for reluctance motors and their variants. Indeed, IDTechEx suspects that PM motors will eventually lose share for several reasons that are elaborated in this, the most comprehensive appraisal and forecasting of a motor market powering way past $100 billion by 2029. Part of that is caused by a move from one to four traction motors in certain cars due soon, two in many buses sometimes six per truck and up to 20 per aircraft, not one - a beefy multiplier on the fast growing EV business forecasted in the report in over 50 categories. 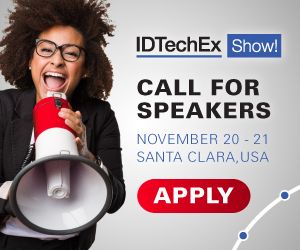 For more information contact the IDTechEx Research team at research@IDTechEx.com or visit www.IDTechEx.com/motors.